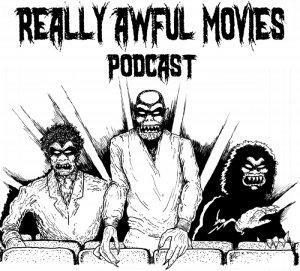 On this special episode of the Really Awful Movies Podcast...two movies "inspired" by the great JAWS, The Car and Grizzly. We're gonna need a bigger boat...and we're going to need a special guest too. We decided to bring back one of our favorite people in the horror community, a gentleman and a scholar, Scott Drebit from Daily Dead (who's previously joined us to talk about all sorts of terrific eco-horror films) to chat about these two very similar films. If there's ANY type of creature, from the slimiest little protozoa to the largest blow-hole spewing whale, that's going around killing people...SIGN US UP. We really dig animal attack fare, and yes, The Car is a a killer sentient vehicle...but in the film, the title car still adopts the mannerisms of a predatory creature...huffing and stalking its human prey. And both films feature the killer POV as a car/grizzly hunts down victims. The 70s was a fertile time for horror, and it's easy to forget just how weird and undeniably fun the films were.